Right now is not a good time to be an undocumented immigrant in America, to say the very least. But if hearing about the people who are being held in detention after entering the country to seek asylum is making you angry, there’s a really easy way for you to help make those people’s lives just a little bit better, and it will give you something positive to channel all that energy into: pen-pal programs. According to Mashable, there are several different pen-pal programs that will help you write to a detained immigrant as a pen pal and offer some kind words. Many of these migrants don’t have relatives nearby, so you could be offering them a sympathetic ear and a little human connection that they desperately need during what is undoubtedly a really difficult time. Mashable noted that HIAS and Freedom For Immigrants have coordinated on a volunteer pen-pal program, and there are other non-profit organizations working toward the same goal. Interested in getting involved? Here are a few programs to get you started. You can sign up for a pen pal on the End Isolation website, and they will match you with someone who needs a connection to the outside world. As long as you’re over 18, you can become a pen pal, and signing up online couldn’t be easier. LIRS is working toward matching people with undocumented immigrants being held in detention through online registration, and even offers an example letter in case you don’t know where to start. Through QDEP‘s Migrant Prisoner Project, each month the organization holds a pen pal day. You can sign up by emailing info@qdep.org. 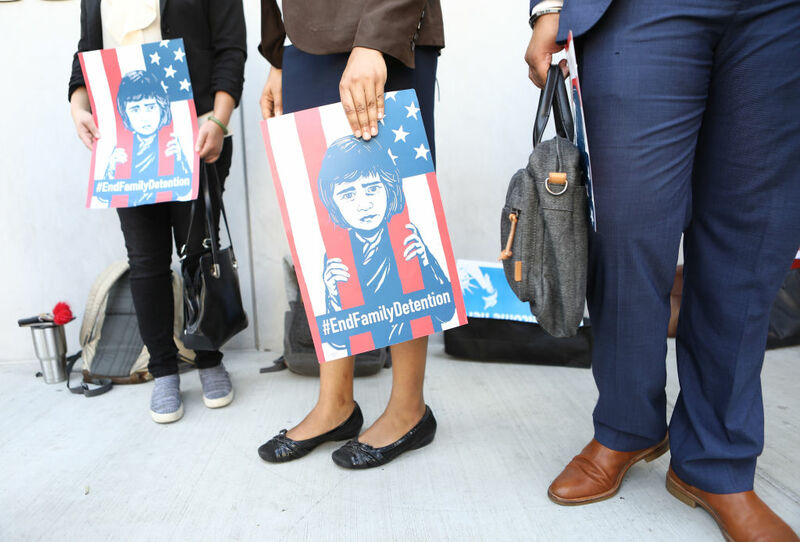 Obviously, we have a long way to go before progress is made when it comes to our immigration system, but this is a good way to help when you might otherwise feel helpless.